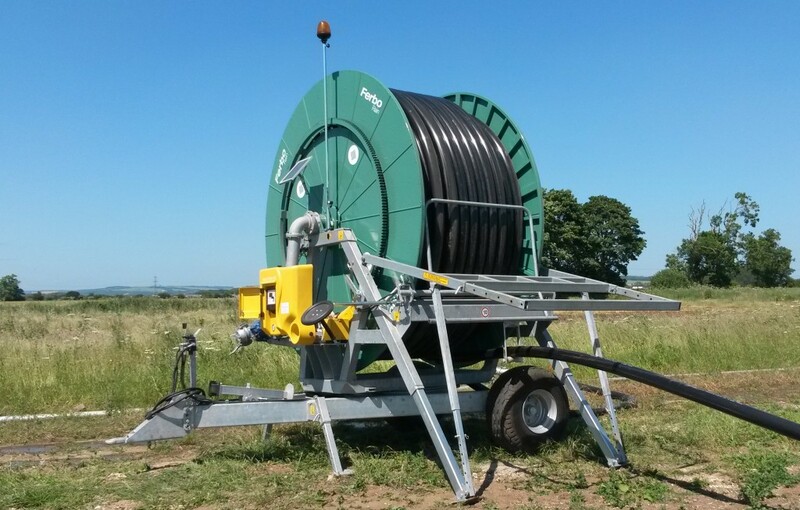 Available for viewing, this higher capacity hose-reel irrigation machine from the NewEng FerboRain range is manufactured to our specifications in Italy, and were previously supplied by us as Wright Rain/Idrofoglia Rainmakers. 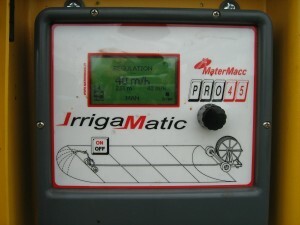 Typically this machine can apply about 64m³/h through a 28mm raingun nozzle at 4.5 bars, requiring a connection pressure of about 9 bars depending on local conditions. 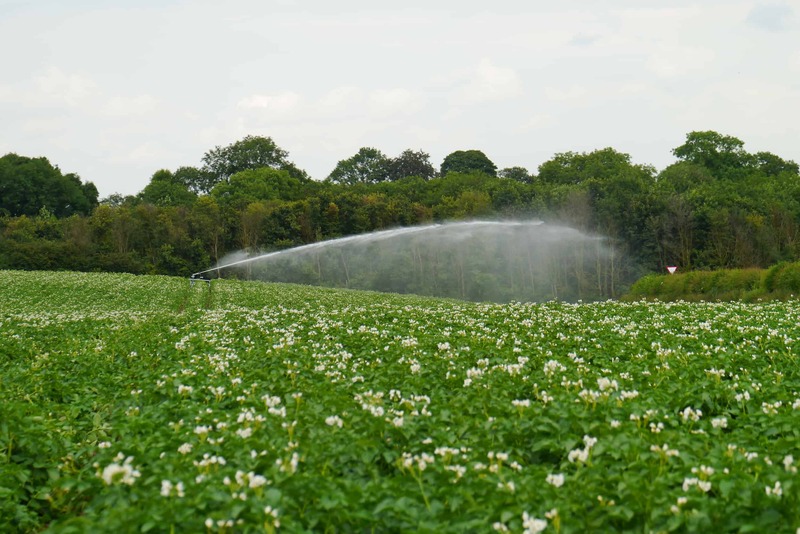 When operated at 72 metre spacing between runs, a full length run in 11 hours will provide a nominal 18mm application of water; equivalent to an irrigation capacity of 96 acre inches per week, assuming two such runs per day. 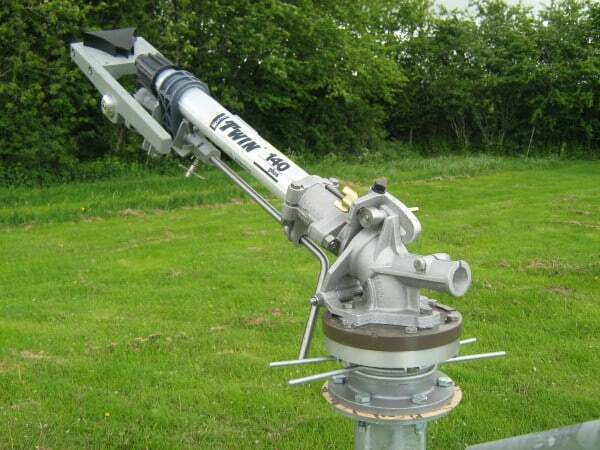 540 metres of 110mm dia. black med. density poly hose with 3 year guarantee. Pro45 “push and go” intuitive controller complete with pressure switch, solar panel, rechargeable battery and flashing warning beacon. 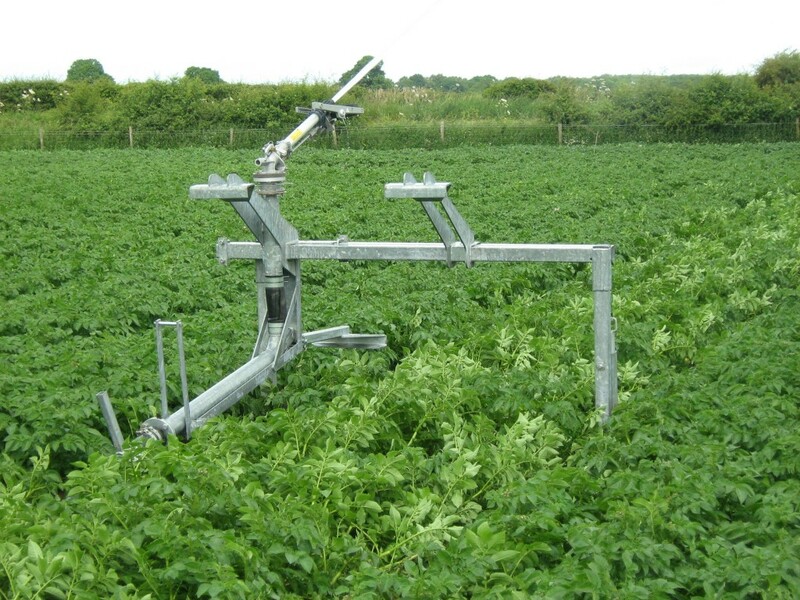 Hydraulically operated staker legs and raingun trolley lifting. Twin distributor lever valves and quick connect tractor hydraulic hoses positioned behind the towing eye. 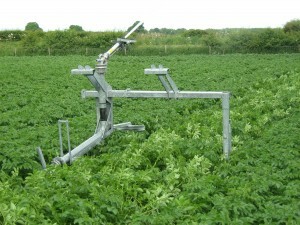 Adjustable height extended drawbar towing eye. 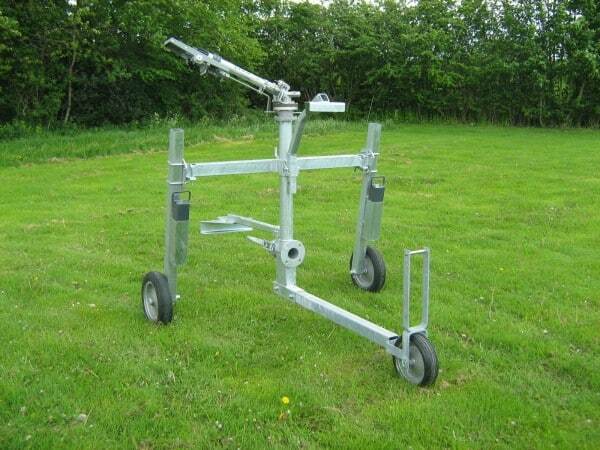 Two wheel fixed axle, 400/60-15.5 pr14 6F tyres. 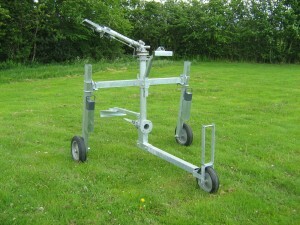 Galvanised 3 wheel adjustable width asymmetric off-set raingun trolley with stabiliser weight, centre pull raingun trolley optional at reduced price, with rigid towing bar.